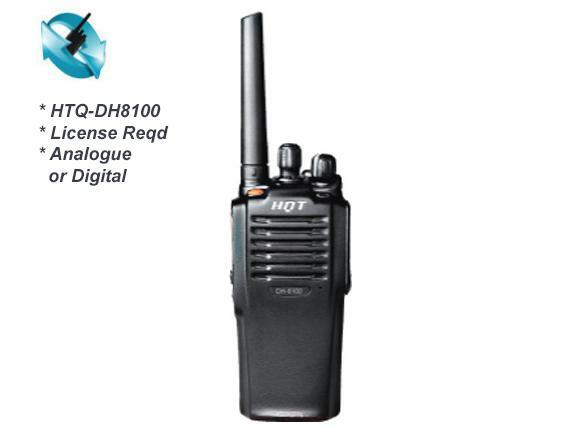 DH-8100 can operate in either analogue or digital mode. It is compatible with the prevalent analogue system, ensuring a smooth analogue-to-digital transition. Intelligent signalling of DH-8100 supports various voice call types, including Private Call, Group Call, All Call and Emergency Call. This feature is helpful in reminding you of the reception of any Private Call, Call Alert under noisy or low-volume conditions. It is customized specially for users in property. Patrol Planning, Patrol Data Inquiry and Log Statistics can be customized with HQT Patrol System, which enables your work to be easier and more convenient. DH-8100 provides high-level digital encryption utilizing advanced 216-bit encryption algorithm; In analogue mode, it also provides Scrambler feature (Selectable).